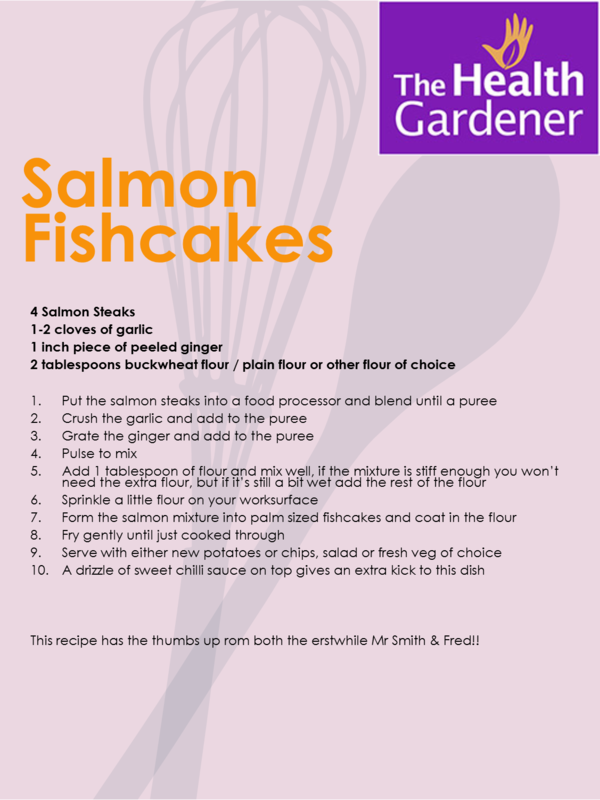 Personally I'm not that keen on Salmon on its own and neither is my husband, so as I often do I make it into something else - in this case fishcakes. These fishcakes are easy to make and cook and can be served with a multitude of different things. We tend to have new potatoes, homemade coleslaw (grated carrot, finely chopped onion, finely sliced red cabbage, grated raw beetroot, dressed in your favourite way, a great way to get more vegetables into the family) and salad. The recipe is simplicity itself and flavourings can be adjusted according to preference - here I use garlic and ginger and then top with a drizzle of sweet chilli sauce.